Objective: The purpose of this study was to assess the relative risk of suicide attempt and suicide in users of hormonal contraception. Method: The authors assessed associations between hormonal contraceptive use and suicide attempt and suicide in a nationwide prospective cohort study of all women in Denmark who had no psychiatric diagnoses, antidepressant use, or hormonal contraceptive use before age 15 and who turned 15 during the study period, which extended from 1996 through 2013. Nationwide registers provided individually updated information about use of hormonal contraception, suicide attempt, suicide, and potential confounding variables. 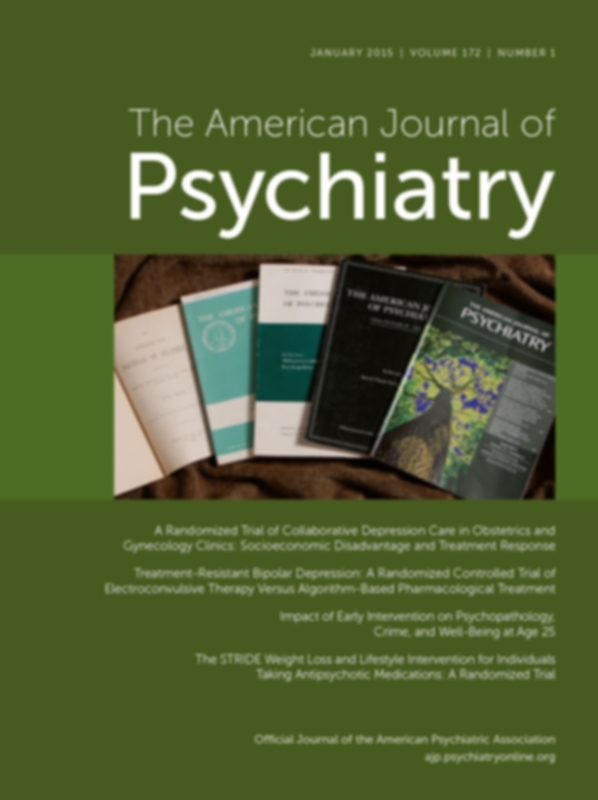 Psychiatric diagnoses or antidepressant use during the study period were considered potential mediators between hormonal contraceptive use and risk of suicide attempt. Adjusted hazard ratios for suicide attempt and suicide were estimated for users of hormonal contraception as compared with those who never used hormonal contraception. Results: Among nearly half a million women followed on average for 8.3 years (3.9 million person-years) with a mean age of 21 years, 6,999 first suicide attempts and 71 suicides were identified. Compared with women who never used hormonal contraceptives, the relative risk among current and recent users was 1.97 (95% CI=1.85–2.10) for suicide attempt and 3.08 (95% CI=1.34–7.08) for suicide. Risk estimates for suicide attempt were 1.91 (95% CI=1.79–2.03) for oral combined products, 2.29 (95% CI=1.77–2.95) for oral progestin-only products, 2.58 (95% CI=2.06–3.22) for vaginal ring, and 3.28 (95% CI=2.08–5.16) for patch. The association between hormonal contraceptive use and a first suicide attempt peaked after 2 months of use. Conclusions: Use of hormonal contraception was positively associated with subsequent suicide attempt and suicide. Adolescent women experienced the highest relative risk. Skovlund, Charlotte & Mørch, Lina & Kessing, Lars & Lange, Theis & Lidegaard, Øjvind. (2017). Association of Hormonal Contraception With Suicide Attempts and Suicides. American Journal of Psychiatry. appi.ajp.2017.1. 10.1176/appi.ajp.2017.17060616.